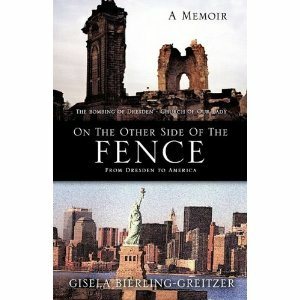 On The Other Side Of The Fence - From Dresden to America. Dear Reader, Our grandchildren came to us asking for help with their school assignment to uncover their family ancestry. The more they learned, the more intrigued they became. Quite frankly, once I dove into my own extensive research and got reacquainted with my father's thoughtfully documented family history, the more excited I became. The words and stories started to flow. It is amazing how much information one's mind retains. Once tapped, your memories become a treasure chest begging to be revealed to the generations now and hereafter. Uncover the amazing background of our ancestors in Dresden, Germany. Embark on our journey through the horrifying years of World War II, our desperate flight from the Russians in February 1945 that ended in Bavaria where we encountered our first Americans. Follow us through the difficult postwar years of trying to readjust and rebuild our lives-all seen through the eyes of a child. Be further captivated with the compassionate, thoughtful, and humorous description of our family's exciting endeavors through the years until our ultimate emigration from Germany to the United States. It lends an interesting viewpoint during the family's immigration process and our impression of our new home here in the United States. This is an amazing study of historical events not widely publicized and the courageous people who had to face life in and beyond them. It is not a morbid recount of unpleasant occurrences, but a story told in a factual and honest way, sprinkled with good humor and a positive, hopeful view towards the future. 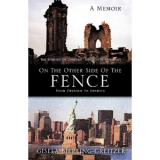 Gisela Bierling-Greitzer, the author of On the Other Side of the Fence, is the second child born to the eleventh generation of the Bierling family in Germany. She now lives in Westchester County, north of New York City, with her American-born husband.